Bring 20 children to enjoy lots of fun-filled inflatable playtime! This package gives you the flexibility of hosting a bounce time Monday-Thursday's! – the perfect solution for today’s busy families! 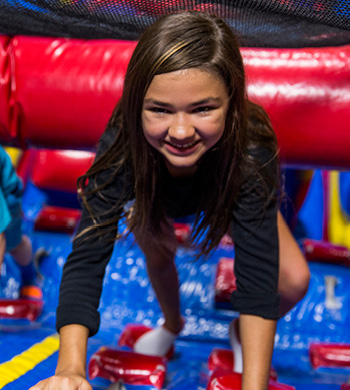 At Pump It Up, your event is 100% Private - no strangers, just you and your guests; 100% Fun - everyone from Toddlers to Teens love us; and 100% Stress Free - just walk in and relax, we do all of the work. You and your guests will enjoy lots of fun-filled playtime on our four gigantic inflatables in our fully staffed private arena. Pump It Up has created a unique and proprietary Health & Exercise program geared towards Girl Scouts, Brownies, Juniors, Boy Scouts, Cub Scouts and any other organization looking to learn about fitness, healthy eating and of course have laughs and lots of fun at Pump It Up. The Health & Exercise program is a 90 minute program offered Monday - Thursday. Children will learn how to measure their heart rate (both resting and active) and learn about the new USDA food pyramid. 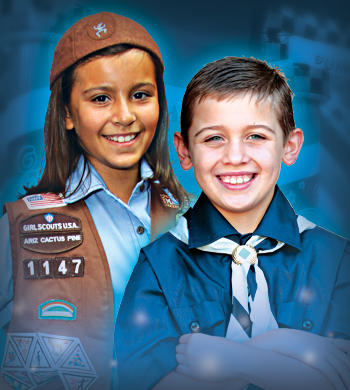 The Scout and Troop program is designed to meet the specific badge requirements for earned awards. Our new program can be tailored for a variety of different earned awards for all levels of Troops & Scouts. We can tailor each event for either 1 or 2 earn awards.